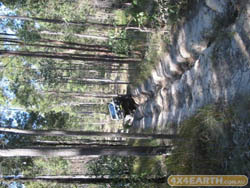 Some 15 acres of bush tracks to explore at your leisure. Grades from easy to absolutely challenging. 2 ponds to cross or go round, tracks always harder after rain.